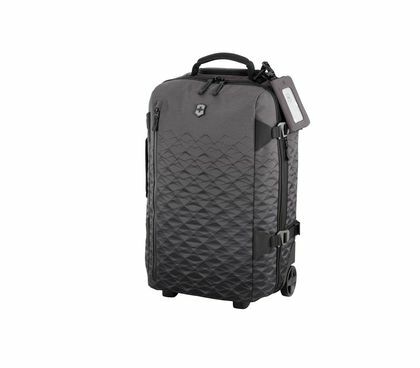 For maximum agility when traveling the globe, count on the lightweight carry-on bags of Victorinox. 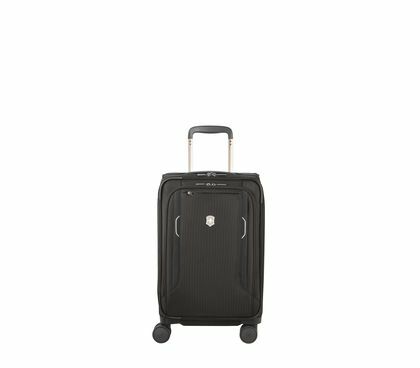 All of our carry-ons have been designed to meet the requirements of most major airlines while exceeding the expectations of international travelers. Just like the Swiss Army Knife, once you experience their well thought-out features and functions, you'll wonder how you ever lived without them. 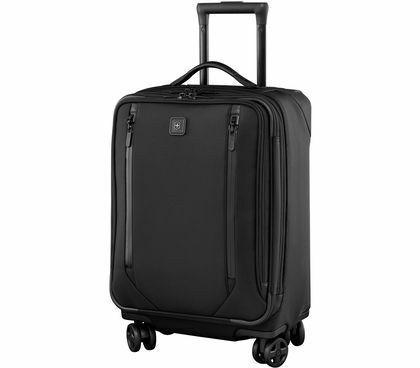 Traveling with just carry-on luggage has many advantages: No long waits at check-in, no lines at baggage claim, no careless packing, no surplus weight and, last but not least: the opportunity to minimize your luggage to one single item. 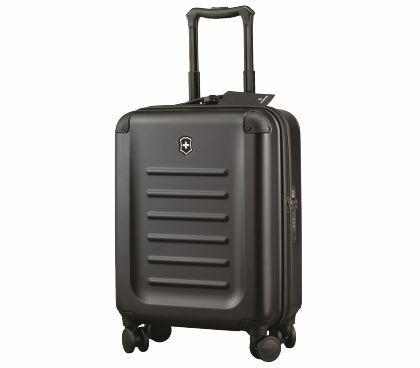 We’ve prepared a summary for you here of things to consider and some helpful advice on how to choose the perfect carry-on luggage model, plus packing tips, answers to your frequently asked questions, and a list of the bestselling Victorinox carry-on luggage bags. Because the smartest passengers are those with the best information. Ticket, voucher, passport, and: Travel gear – all packed and ready to go? Have a good flight! 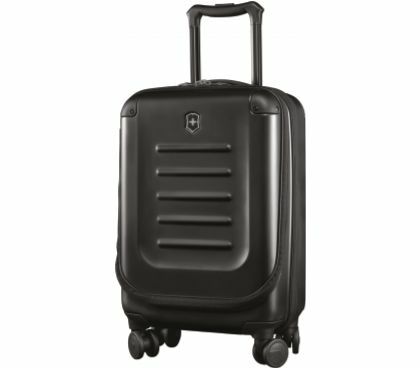 Wheeled carry-on luggage bags or backpack? 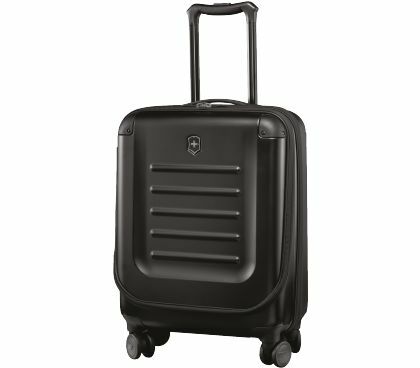 The question of whether an agile carry-on luggage bag or a lightweight backpack proves to be the best choice of carry-on is, and always will be, a matter of taste, the luggage itself, and the destination. 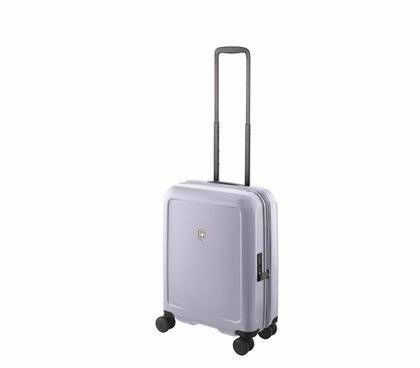 In urban settings, an upright is a comfortable option, but if your travels take you over rough terrain, even the most sturdy wheels might be stretched to the limit. 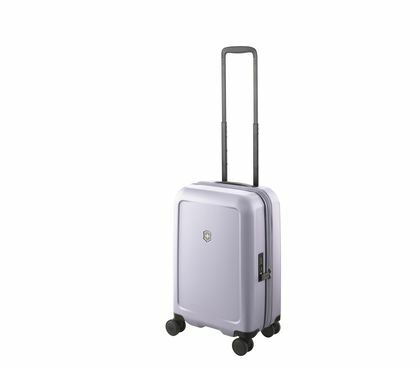 If, on the other hand, you are using the full average weight allowance of 8 kg, then it’s quite pleasant if you don’t have to carry your luggage on your back for long distances. 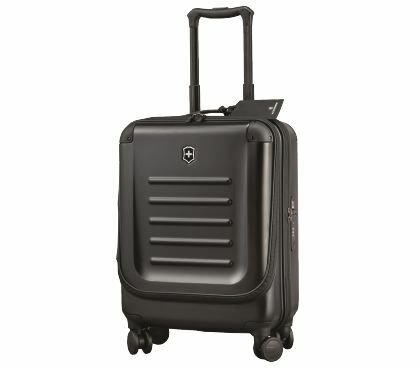 Hardside or softside carry-on luggage? 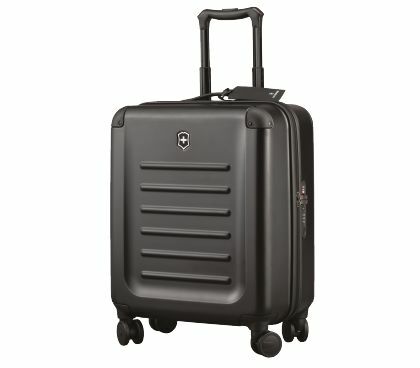 Whether made of shock-resistant polycarbonate or sturdy nylon, all Victorinox upright carry-on luggage bags are extremely robust, lightweight, and durable. 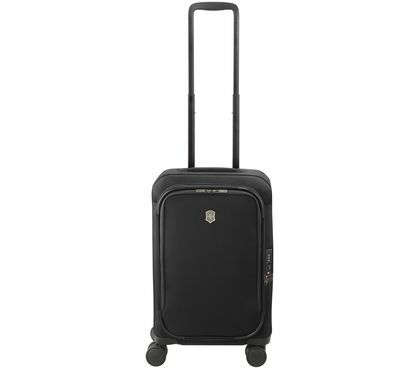 Fragile objects are a little better protected in a hardside, while a soft surface gives the carry-on luggage a little more flexibility. 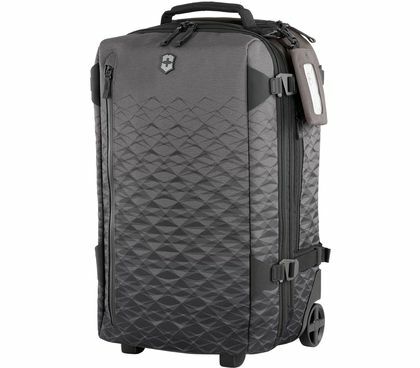 A defining characteristic of Victorinox softside carry-on luggage is the extreme resistance it offers against all kinds of rips and tears. Mass and weight – what is permissible? Regulations may vary slightly from airline to airline and might also depend on the flight class – economy or business – as well as the fare class booked. 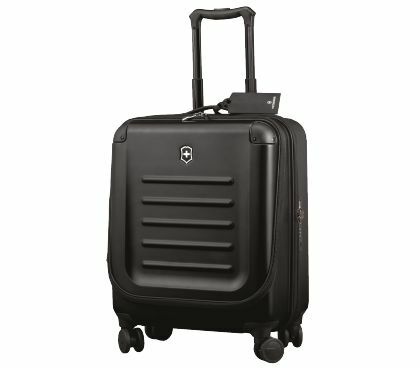 For passengers on Swiss, Lufthansa, Eurowings, and Condor flying in economy, the maximum size for carry-on luggage is 55 x 40 x 23 cm and the maximum weight is 8 kg. If flights are full, the airlines often enforce these limits strictly. 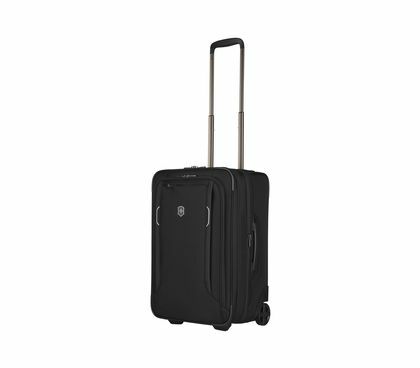 That’s why we recommend double-checking all the regulations and to weigh your carry-on luggage at the airport if you are unsure. To safely avoid paying fees or additional costs, it’s advisable to read the small print, especially with low-cost airlines. 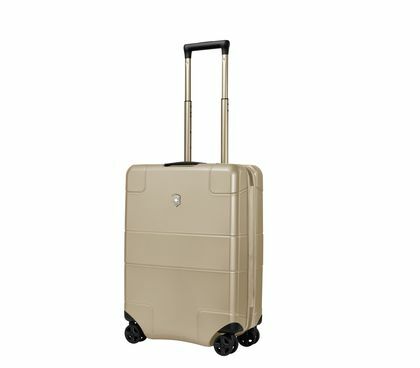 What should I pack in my carry-on luggage? What is advisable? And what is permitted? 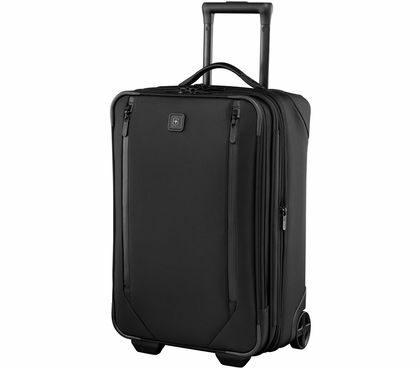 Valuables, personal documents, travel documents, and important medicine, as well as a resealable transparent toiletries bag containing basic cosmetics, should always be kept on hand in the cabin while flying. Each container of liquids, gels, and creams may not contain more than 100 ml; otherwise they will be removed at the security checkpoint. 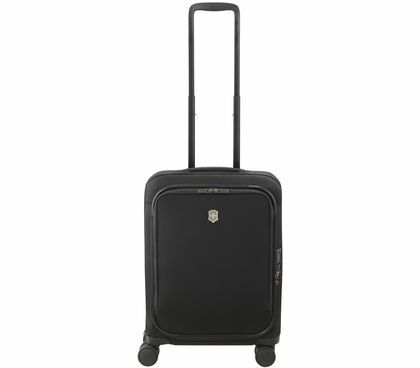 If you cannot comply with these rules, you can purchase such items in the duty-free store. All pointed or sharp objects can cause injury – scissors and knives are prohibited and must be packed in your suitcase or purchased at your destination for use while traveling. 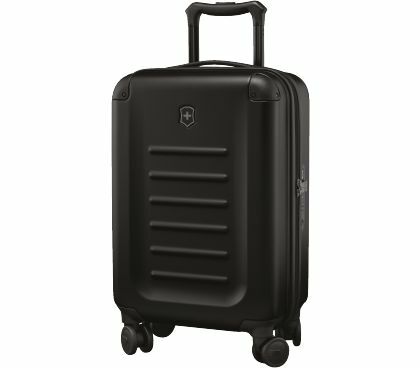 What is the best method to use when packing? 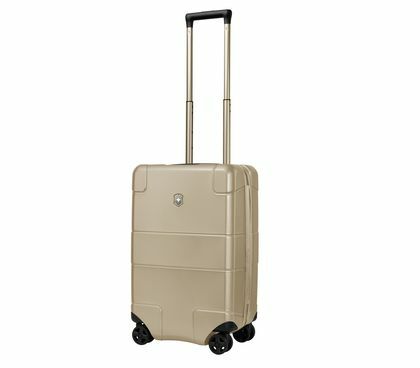 Seasoned carry-on luggage specialists and backpackers are smart minimalists. 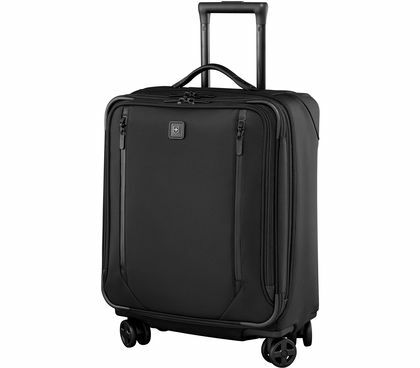 All heavy or bulky items are either worn on the body or banished from the luggage entirely. Lightweight fabrics and materials are preferred; when rolled up, pants, shirts, and blouses don’t get as creased and are a more efficient use of space. Cinch straps and compression bags can also do their part to keep things orderly and help minimize the volume. In other words, only take what is absolutely necessary.